When it comes to tile, we will take care of your needs, from the simplest of repairs to the most complicated of custom projects. 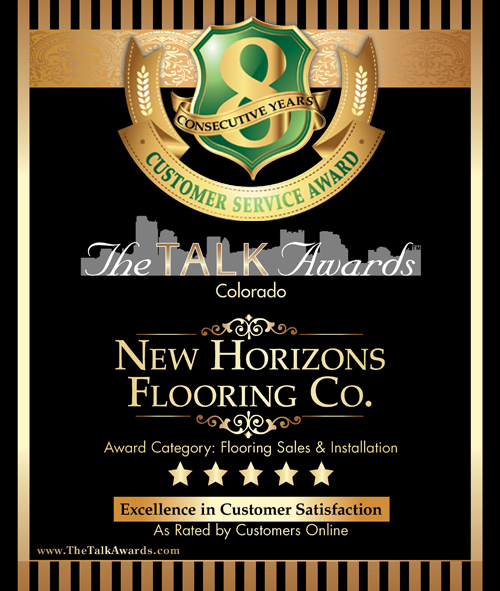 At New Horizons, we keep up with the industry standards, so we can exceed them. 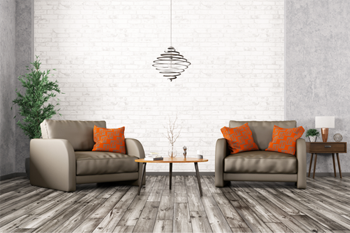 Hardwood floors are the most popular floor covering in Colorado. Why? …because hardwood floors add beauty and value to your home. We offer many species of hardwood in many colors and to match all budgets. 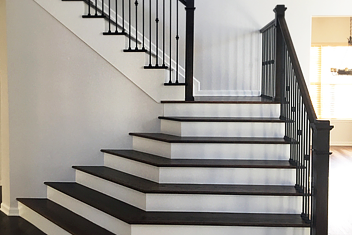 bring in the beauty of iron spindles new handrails, modern posts are a worthy investment to your home. TRUST! Who is coming in your home, we will put our reputation up against any of our Competitors. Thank you for visiting our Web site. Our goal, as a small family company, is to give attention to one job at a time, so you can be sure your job will receive the individual attention you deserve. Our goal, as a small family owned and operated company, is to earn your trust, not just for one job, but for all your flooring and remodeling needs in the future. Thank you for your time and consideration. Set your sights on New Horizons for all your flooring needs. We are proud to offer Dustless Sanding at no extra charge. Resands and finish, screen and coats available. 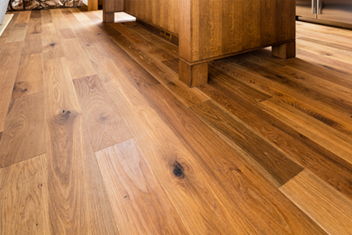 Solid wood floating floor systems and more.